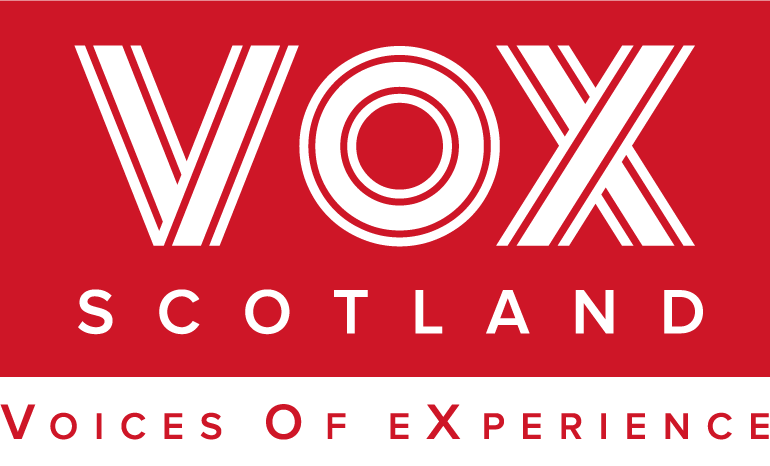 VOX aspires to represent the views of everyone in Scotland with a lived experience of mental illness. We’re particularly keen to learn from groups and individuals who’ve been excluded from the mainstream in the past. Our VOX Equalities and Development Coordinator Mahmud Al-Gailani works hard to reach out to communities throughout Scotland and has a keen interest in recognising the impact of intersecting identities on peoples lives. We don’t receive specific funding for diversity however you will see in the sections below some of the work that we have developed in the past with diverse communities. Diversity is about respecting and valuing people’s differences. Being acceptant and respecting of people’s rights to celebrating their own uniqueness. Equality is about ensuring that people are treated fairly according to their needs and making this every day practice and behavior across the board, making it the normal attitude. VOX is dedicated to equality and diversity, and is working to ensure that everyone has the opportunity to participate, informing policies and services that affect them and recognising that there can be many different understandings of what mental health means. VOX in partnership with the Mental Health Network (Greater Glasgow), Glasgow Association for Mental Health and South East Glasgow CHCP have been developing a dialogue with faith leaders in the east of Glasgow to raise their awareness of mental health issues as well as looking at some of the cultural myths and stigma that can exist within communities. We met with Christian, Muslim and Sikh faith leaders to support them to develop faith based messages promoting mental wellness among their congregations. We have subsequently developed with the Muslim faith community a faith and mental health resource to support Muslim faith leaders and the Muslim community in relation to mental health problems. There is a booklet and a wellbeing based flyer in English and Urdu currently but we hope to have the resource translated in other relevant languages. You can access the resources from the publications page under Diversity Documents. MOSAICS OF MEANING this is a guide for policymakers, service providers, health improvement and community development workers. It describes how a series of interventions in glasgow sought to tackle stigma in mental health with black and minority ethnic communities. Download the Handbook from the Diversity Documents section of the Publications page. VOX Community Leadership Program: This work focuses on people assets, personal experience and motivation. Leadership work has looked at the following areas; Minority Ethnic Women, Older people, Young people, Domestic Abuse, Alcohol and substance abuse, people living in remote and rural areas as well as people who have experienced the prison system. Several reports are available from these groups in the publications section. VOX young members 16-30 have been a great help in developing our online presence on social media. Several of our young members have also been involved in delivering awareness raising presentations to politicians at cross party group meetings on mental health, responding to consultations and have also been involved in facilitating and running creative workshops for young people with lived experience of mental health issues. We also have young people among others represented on our board of trustees to help steer the direction of the charity. Young VOX no longer meets however you can promote relevant information to our members via our social media outlets or weekly members update. We have supported a group of our members who identify as being either LGB or T in establishing a working group. The group met on a regular bases with the aim of developing an LGBT and mental health specific resource for front line staff, communities and others who may be interested in supporting LGBT people with lived experience of mental health issues. You can access the LGBT VOX resource in our publications page under Diversity Documents. VOX has been involved in several projects in partnership with LGBT Youth Scotland, Transgender Alliance Scotland as well as the Equality Network and we have been involved in LGBT action groups and awareness raising sessions. LGBT VOX no longer meets however our members can be reached via our social media outlets and weekly members updates for any relevant information. VOX Senior members have been involved in several initiatives to facilitate a voice for issues related to later life and mental health. Our Senior members have been involved in regular coffee morning meetings to share knowledge of services, exchange ideas and contribute to the VOX newsletter. Senior members have also been heavily involved in our arts and mental health activities, they developed an exhibition that was held at Kelvingrove Museum and Art Gallery for 6 weeks exploring objects from peoples past. Members have also contributed to creative writing workshops as well as poetry. Our Senior members continue to be active contributors of our membership and help us priorities our future work objectives at our annual members meetings. VOX over 50’s no longer meets. You can reach our members via our social media outlets and our weekly members updates. The justice system has been an area of interest to our members. Exploring what support for mental health there is within the system and also at transition points. VOX held a number of focus groups in Barlinnie Prison with people who identified as having a lived experience of mental health problems and who were accessing mental health services within the prisons health center. It was clear from the beginning that there were many issues that required attention such as access to prescribed medication and to housing and other support services on leaving the prison. VOX members with experience of past convictions held a series of awareness raising session and focus group meetings to share experience and highlight the positives and negatives that exist in terms of support. This was part of our leadership program and lead by members with lived experience. A report written by our members s available on our publications page under Diversity Documents. We continue to work with partners such as positive prisons and prison advocacy forum to share and highlight the key issues that have emerged in this area.